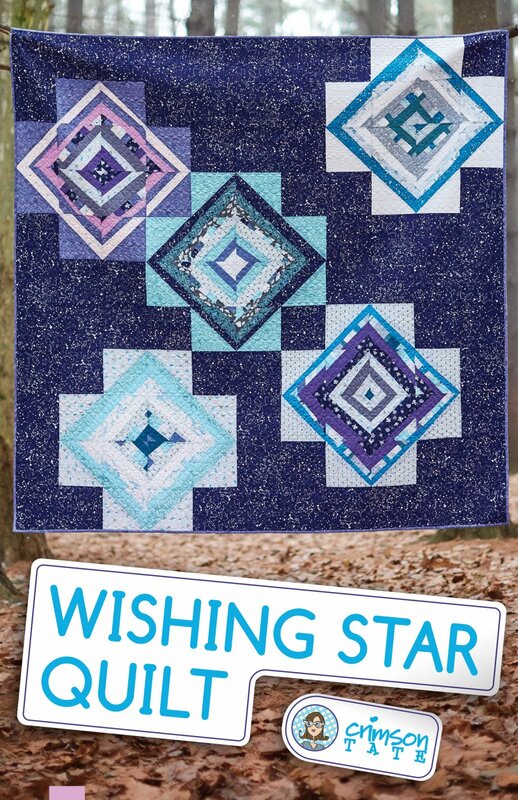 Wishing Star Quilt captures the magnitude of the starry sky in a relaxed approach to quiltmaking that is both sequenced and improvised. Let your improvisational star shine. Sewing pattern includes instructions and illustrations to create a crib, lap, full, or king sized quilt top. Fabric shown is Night Hike by Heather Givans for Windham Fabrics.